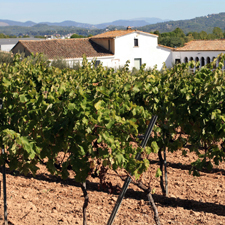 Enjoy wine tourism in a different way on this 4x4 trail through the Penedès. You’ll visit two wineries, taste their wines and learn all the secrets of how they are made. 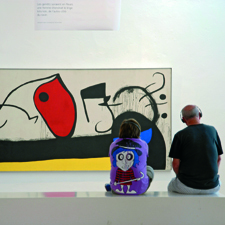 An experience to be enjoyed with the five senses!. It is said that a good wine-producing region is defined by its vineyards and wineries. 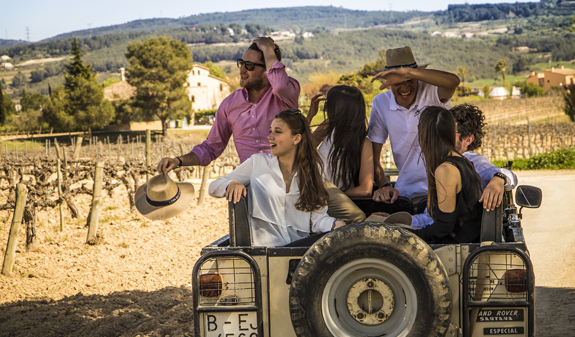 On this wine-tourism activity we’ll introduce you to the Penedès region on a 4x4 ride in the company of a local wine producer. 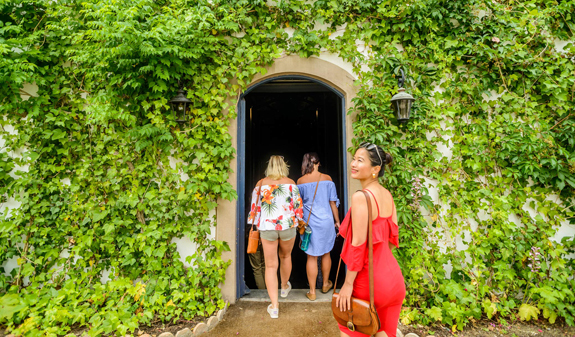 The tour begins with a visit to a family-run winery with vineyards dating back more than a thousand years. 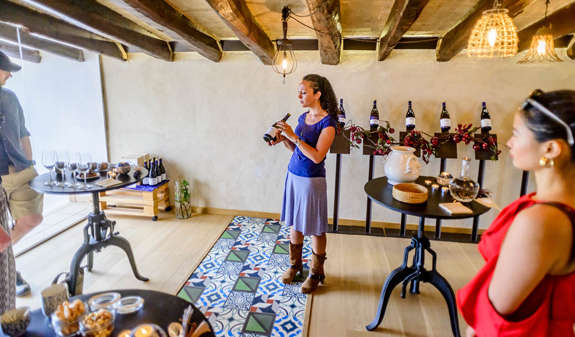 Their wine expert will tell you about the history of the winery and take you on a guided tour. At the end you’ll taste four wines paired with gourmet foods. You’ll also be able to enjoy the scenery on a 40-minute ride through the vineyards in a convertible 4x4. The second winery on the tour specialises in producing cava. 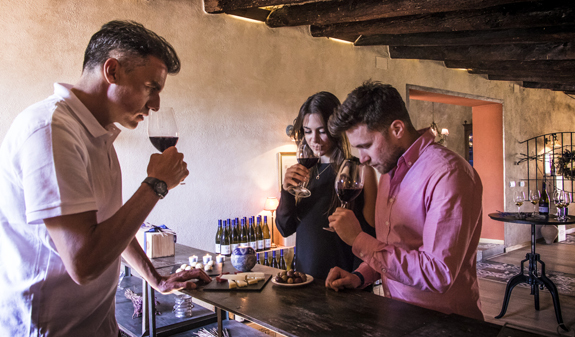 You’ll taste four cavas and locally produced snacks in an old chamber where time seems to have stood still. 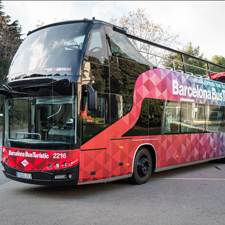 Transport from/to Barcelona in a Mercedes SUV. Guided tour of two wineries. Tasting of four wines and four cavas accompanied by gourmet snacks. 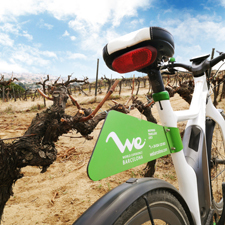 Ride though the vineyards in a 4x4 with a local wine producer. Times: from 1st november to 23rd March daily except Monday, from 24rd March to 31st October daily, at 9am. Length of trip: 6 hours approximately. Small groups from 1 to 15 people.